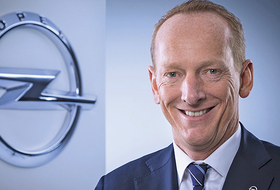 BERLIN -- General Motors' European division, Opel, is struggling to reach profitability this year because of the effects of the UK's decision to leave the European Union, CEO Karl-Thomas Neumann said. "The exit from Russia was really painful. Brexit is yet another issue to deal with and that is why the path toward breakeven is difficult for us," Neumann said today at a conference hosted by Automotive News Europe's German sister publication, Automobilwoche. Opel, which includes British brand Vauxhall, last year shut its Russian factory in response to the country's slumping auto market. GM reported its first quarterly profit in Europe in five years in the April-to-June period, but last month it said that achieving its target to break even in Europe this year would be "very challenging" because of the UK's vote to quit the EU. Chief Financial Officer Chuck Stevens said that a $142 million third-quarter loss in Europe included a $100 million hit from currency fluctuations related to the Brexit vote. He said that fourth-quarter earnings would be cut by $300 million.